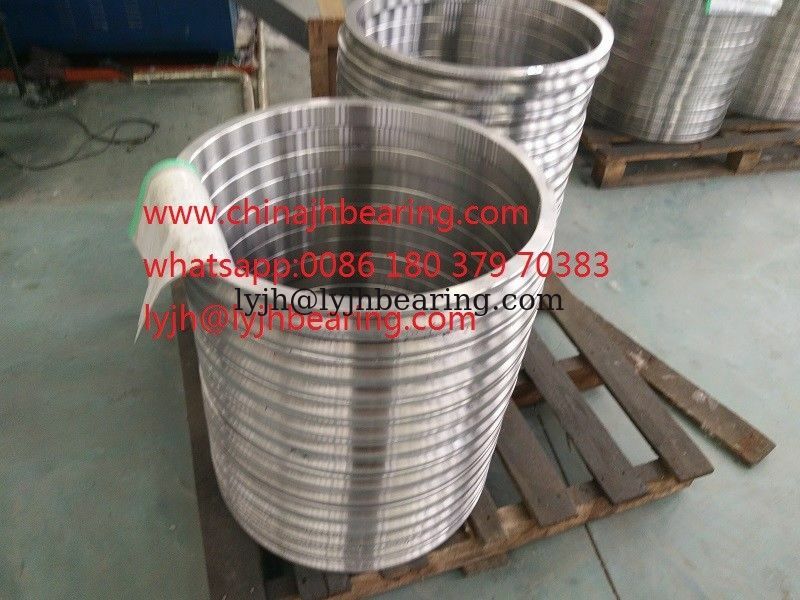 We JINHANG Precision Bearing offer RU 228G crossed roller bearing and service support. For the quality we can guarantee period in one year. If you have question, Please contact us. RU 228G Crossed roller bearing doesn’t required a presser flange or housing.In addition,because it has an integrated inner/outer ring structure and is equipped with washers,its performance is minimally affected by the mounting procedure,ensuring stable rotation accuracy and torque.This model can be used for both inner ring rotation and outer ring rotation.